Shafted?! are looking for storytellers living with HIV to have the time of their lives! September 4, 2014 / Comments Off on Shafted?! are looking for storytellers living with HIV to have the time of their lives! Looking for storytellers living with HIV to have the time of their lives! Shafted?! are looking for 2 people to share their story of living with HIV for the first major time in public. Are you positive and ready to come out, in a supported way? Are you open about your status, but want to come out wider? Would you like a support team of councillors, people who have been through this “coming out” process themselves, peer support, and a cast of friends. If you are not open at all yet, we would be humbled to work with such an important and transformative process. The new Shafted?! shows are a provocative, flamboyant, glamorous, rowdy, insightful, moving, surprising and musical response to HIV. The planned shows will are in London and Wales in 2015. SHAFTED?! is an unashamedly deviant HIV cabaret and activism movement to stop the HIV ‘Second Silence’ (1) and in tribute to the activism of ‘Aids Coalition to Unleash Power (ACT UP)’. The show combines dance, performance, live music, stunts and spoken word to tell true life stories of people living with and affected by the virus. It is part of a wider body of activism combining workshops, mentoring schemes and direct actions UK-wide, in response to austerity cuts and the silence around the epidemic. Shafted?! has headlined festivals at The Arches (2013) in Glasgow and Pride Scotia (2014) and are coming to London and Wales in 2015. We are organising a mash up of brilliantly in-your-face cabaret activism, documentary verité, and multi-camera studio material to make the most deliciously enjoyable political statements to build properly supported HIV care across the world. Whilst in many places HIV is now thankfully a more manageable condition – in 2015, infections in the UK are rising, stigma still exists and prevention services are inadequately supported – and even cut – in many parts of Europe. Not to mention other part of the world where HIV is still a death sentence. What would I as a storyteller do? Do you think this should be challenged? Do you want the global HIV / AIDS crisis to end once and for all? Would you like to share your story of living with HIV as part of the show? In 2015 – Shafted?! will hold 2 events – one in London, one in Wales – participants would be required for a week in both of these periods to share their story on stage and to camera. The audiences for the shows are the general public (both those new to the issues of HIV and those with lots of knowledge), the media and politicians. APRIL 2015 We would initially meet you in June, at a place of your choosing (London, or at your home, or a local cafe) to get to understand you and your story, and so you can get to know what Shafted?! has done so far. Between now and July, maybe monthly, we will meet and communicate. The show will be made up of your favourite songs, acts and the story as you want it told. By September 2105, there will be some more meetings, with all the groups involved, so start to plan roles. OCTOBER 2015 will require 2 weeks of fairly constant attention (though of course, we will work around your family / life commitments to the maximum). Show at end of October!! We will probably aim to do 3 shows, 3 nights in the row – so as to reach the maximum number of people. All costs will be covered – Nobody will be out of pocket. No professional actors are used. The cast will be made of people affected by living with HIV. We will work together to make the show we desire. “I see “Shafted” the show as a stepping stone to breaking down barriers of stigma, and have everyone accepted as one.” Billy, Shafted?! storyteller and performer 2014. 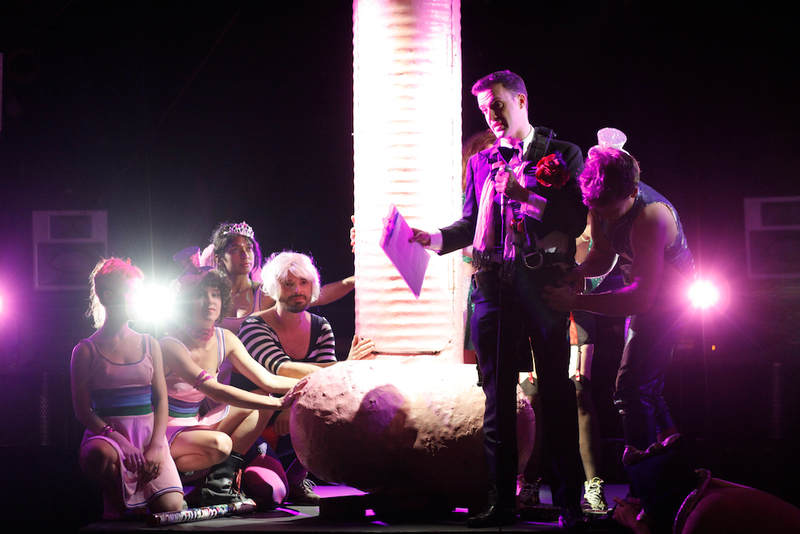 “On behalf of ACT UP New York’s alumni, we’re thrilled to see the UK acting-up again. Shafted?! reminds us of our gloriously ribald and creative roots, so keep up the fight, comrades. Until there’s a cure, ACT UP!” Peter Staley, legendary AIDS and gay rights activist. 1. Living with HIV just got harder- benefits system, budget cuts, HIV and unemployment – http://www.newstatesman.com/rowenna-davis/2012/12/living-hiv-just-got-harder. 2. AIDS Coalition to Unleash Power (ACT UP) is an international direct action advocacy group working to impact the lives of people with AIDS (PWAs) and the AIDS pandemic to bring about legislation, medical research and treatment and policies to ultimately bring an end to the disease by mitigating loss of health and lives.